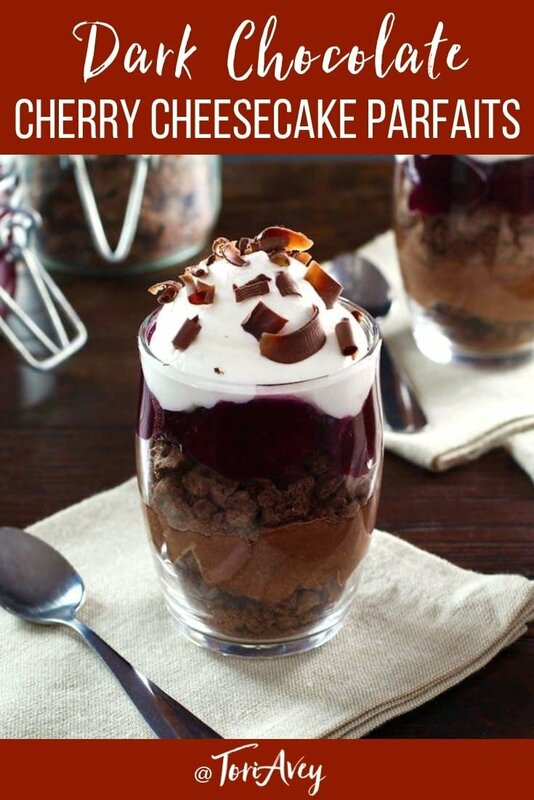 These easy, luscious Dark Chocolate Cherry Cheesecake Parfaits combine layers of sweetened cherries, dark chocolate cheesecake filling, cookie crumbles, and freshly whipped cream for a truly decadent treat. They can easily be prepared ahead and assembled just before serving. The Mayans believed that the cacao bean held sacred energy. Cacao was used by the Mayans during rituals related to birth, marriage, and death. The beans were ground and mixed with spices and chilies to create frothy drinks. These drinks would be considered very bitter by today’s standards, but during the Classic era they were treasured. In Mayan burial tombs, archaeologists have discovered vases painted with depictions of gods fighting over cacao beans. A cacao tree even plays a central role in the Mayan creation story. When the Spanish arrived in the New World, they realized that sweetening cacao would result in a tastier drink. Today, we only consume sweetened versions of cacao, known to us as chocolate. It has become perhaps the most beloved sweet flavor in the world. 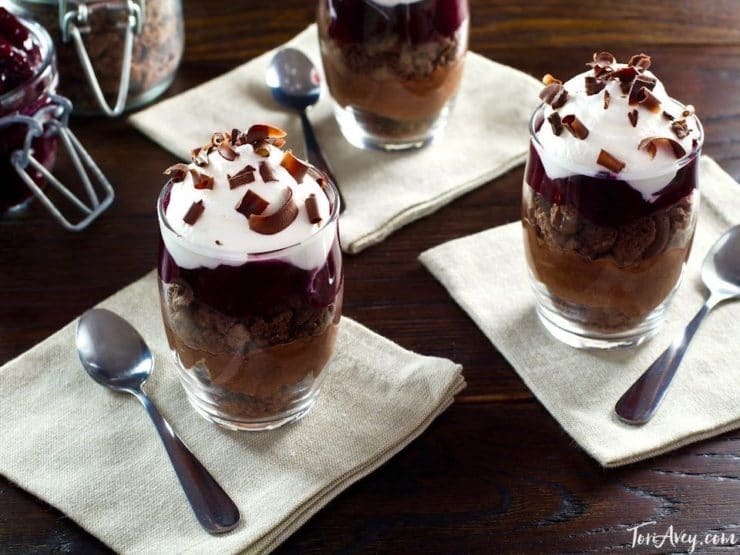 In these irresistible dessert parfaits, dark chocolate is melted into a ricotta cheesecake mixture, then layered with Grand Marnier-infused cherries, cookie crumbles and fresh whipped cream. I can only imagine how the Mayans might have celebrated if presented with such a treat! An easy, luscious chilled dessert that can easily be prepared ahead and assembled just before serving. 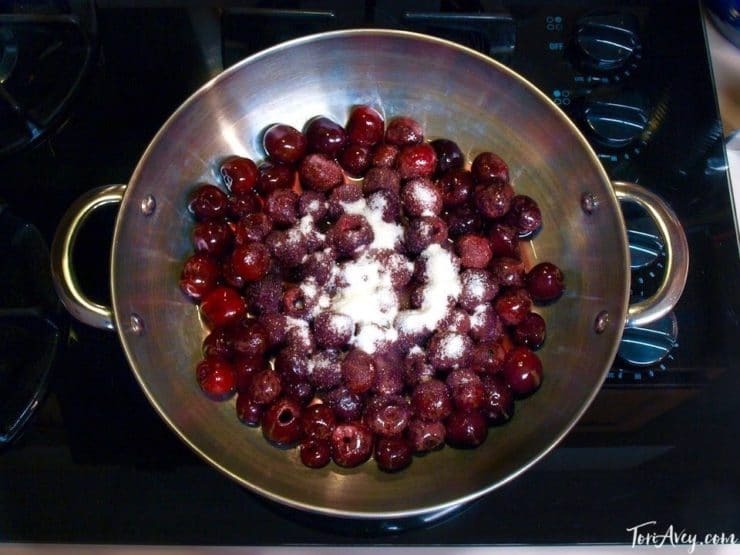 In a medium saucepan, combine the cherries, 1/4 cup sugar and Grand Marnier over medium heat and mix to combine. Stir and cook until the cherries are hot and bubbly. In a separate dish, whisk together the cornstarch and lemon juice. 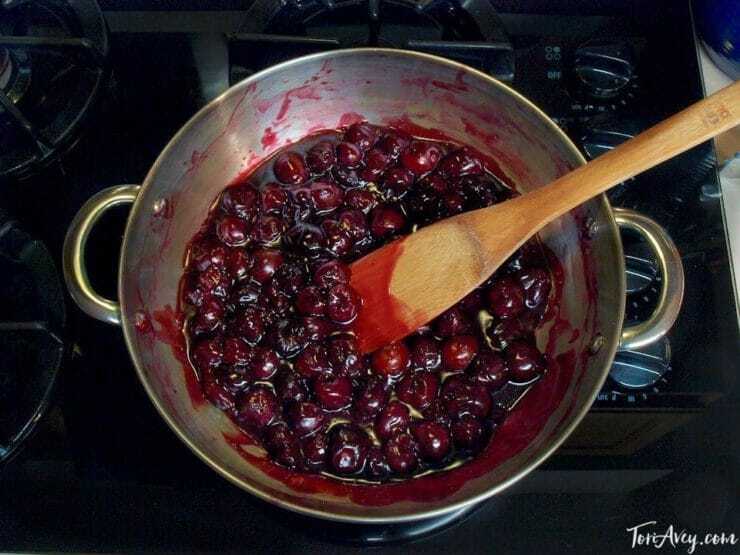 Add cornstarch mixture to the cherries and cook for 2 additional minutes, stirring until the mixture is nice and thick. Remove from heat and transfer the cherries to a bowl. Refrigerate until the mixture is chilled and thick. 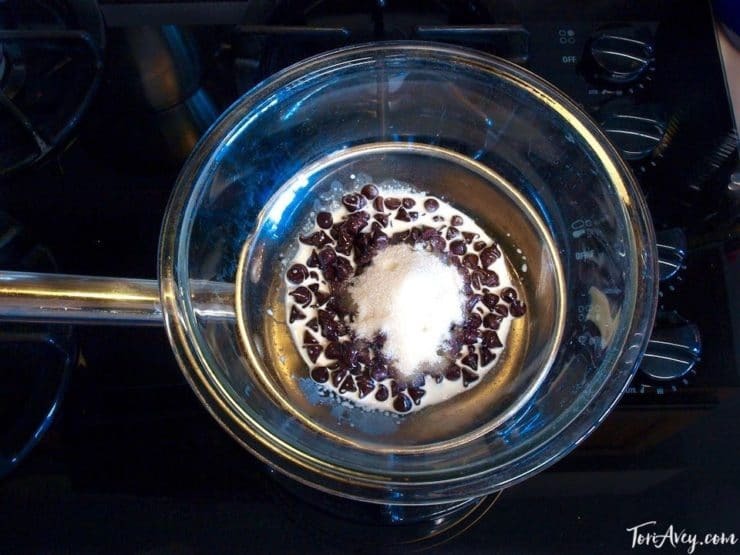 In a double-boiler combine chocolate chips, 3 tbsp sugar, milk and salt. Cook over medium heat, stirring regularly until the mixture is smooth. 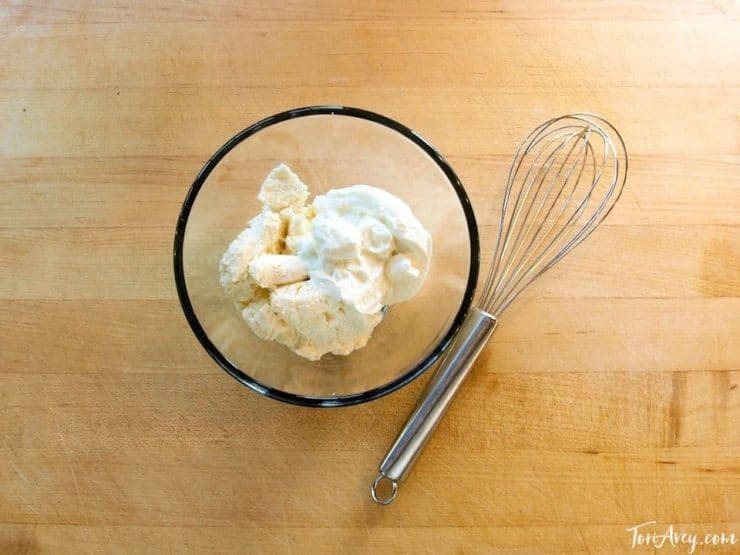 Combine ricotta, Greek yogurt and vanilla in a stand mixer or large mixing bowl and whip until thoroughly mixed. While the chocolate mixture is warm, but not hot, slowly pour it into the cheese mixture while whisking. Beat until everything is incorporated, stopping to scrape down the sides of the bowl as needed. 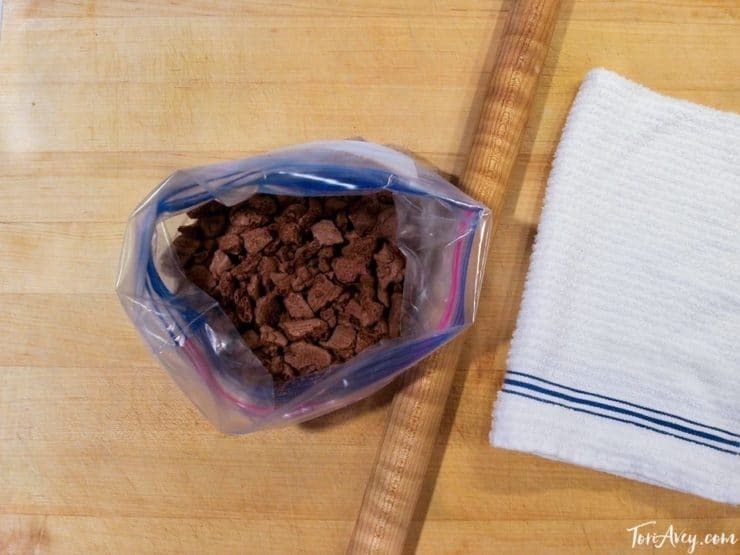 Crush the chocolate cookies in a food processor or place them in a plastic storage bag and crush with a rolling pin. In a medium mixing bowl, whip together heavy cream and 1 tbsp sugar until stiff peaks form. To assemble: Place 2 tbsp of the cookies in the bottom of 8 parfait cups. Evenly distribute the chocolate cheesecake mixture between the cups. Add an additional 2 tbsp layer of the crushed cookies to each parfait. Evenly distribute the chilled cherry mixture between the cups. Divide the whipped cream evenly between the 8 cups to top the parfaits. 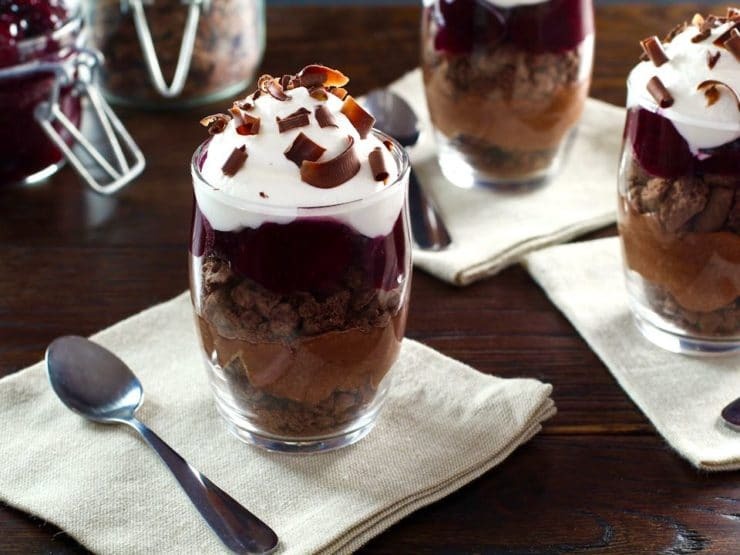 Garnish each parfait with chocolate shavings or sliced almonds. Chill for at least 3 hours before serving, up to overnight. Make sure you top with heavy whipping cream rather than bottled whipped cream, which will deflate over time. This dessert can be made ahead. 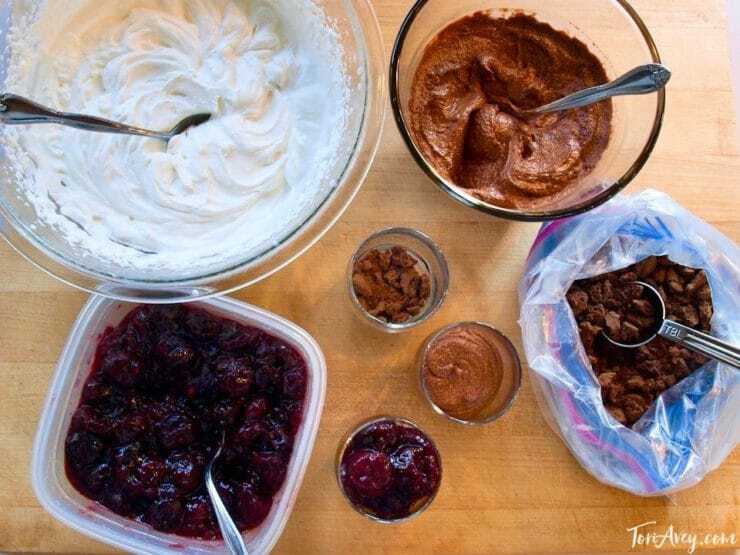 Simply make the cherry filling, whipped cream and chocolate cheesecake mixture and crush the cookies. Store these elements separately in the refrigerator. Assemble the parfaits just before serving to keep the cookies from becoming soggy. Can I use different fruit instead of cherry ? Hi Aysen, Tori’s assistant Ashley here. I think this recipe would work with berries as well, though they may break down a bit during the cooking process. Could mascarpone be substituted for the ricotta? Hi Treena, marscapone is much thicker and richer than ricotta. It would make the parfaits too rich, I think. You could probably do a combination of ricotta and marscapone, but I wouldn’t do a straight sub. First, let me thank you for the many delicious recipes you have shared in recent years. This one, however, has me stymied. To begin with the only frozen cherries I could find were in 1 lb. pkgs. so I had to rework the recipe. Next, even tripling the cornstarch I couldn’t get it thicken. Melting chocolate chips is always a problem, as they are designed to keep their shape. I was hoping that others may have tried this first, and passed on their experience, so I guess I’ll just have to wait and see how the finished product comes out. Renee, you would use 1 1/2 bags of frozen cherries. The melted chocolate should be smooth if using a double boiler; you need to make sure you use a double boiler, keep water droplets out of the chocolate, and do not melt them directly over heat or they won’t become smooth. 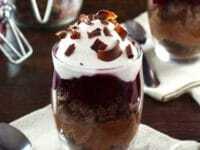 The cherry mixture doesn’t need to be super thick, it will thicken more as it chills. Hope that helps! Hi. I can’t find any other way to get in touch to ask a question, so here goes: I would like to know how to keep honey cake moist. I made one recently and it came out dry, like a bread rather than a cake. Any help you can provide would be great. Looking forward to trying the recipe above, as well! Try this recipe, one of my most popular from the holidays. I have never had it turn out dry before: https://toriavey.com/toris-kitchen/2013/08/honey-apple-cake/ Enjoy!